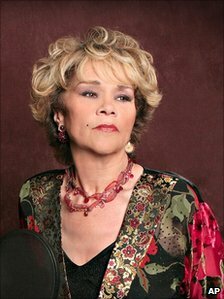 Etta James “Matriarch of the Blues”, to quote her album from 2000, passed away on 28 January, aged 73. Born in LA in 1938 to a 14 year-old mother and an unknown white father, Etta was a neglected and abused child who by the time she was a teenager was struggling with violence and substance abuse. Abusive relationships, drug abuse and criminality dogged her life for its early decades, as she rose to stardom and established a reputation as a formidable performer. By the time she was 15, in the mid-50s, Etta was recording hit records and was marketed as a an R&B and doo wop singer. She signed for Chess records 1960, becoming a traditional pop-style singer, covering jazz and pop music standards on her debut album, At Last! Although her career started to suffer around 1965, after 1967 she became an in-demand concert performer, albeit not reaching the heights of her earlier successes. She enjoyed something of a revival after 1987 and her music began to incorporate more soul and jazz elements. Over the years her contralto voice deepened and coarsened, enabling her blues singing to become raw and powerful. In the early 1990s, James began receiving major industry awards, being inducted into the Rock & Roll Hall of Fame in 1993, the Blues Hall of Fame in 2001, and the Grammy Hall of Fame in both 1999 and 2008. Rolling Stone ranked her 22nd on its list of the 100 Greatest Singers of All Time and 62nd on its list of the 100 Greatest Artists. She also won six Grammy Awards. In 2000 she released the blues album Matriarch of the Blues, Rolling Stone magazine hailing it as a “solid return to roots”, where Etta was “reclaiming her throne”. She released her final, critically acclaimed album, The Dreamer in 2011. 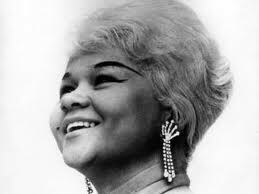 Etta James was given the worst of starts in life and in consequence suffered from bad relationships, drug abuse and discrimination from both the music industry and society. The fact that she became a successful singer, recording powerful and critically acclaimed material until last year, speaks of her courage and intense determination. You can hear the pain and raw emotion of her life and, at times, the rage at injustice, in her legacy of recordings. These included many songs that have stood the test of time – I’d Rather Go Blind, If I Can’t Have You, At Last, All I Could Do Was Cry, Trust in Me to name but a few. 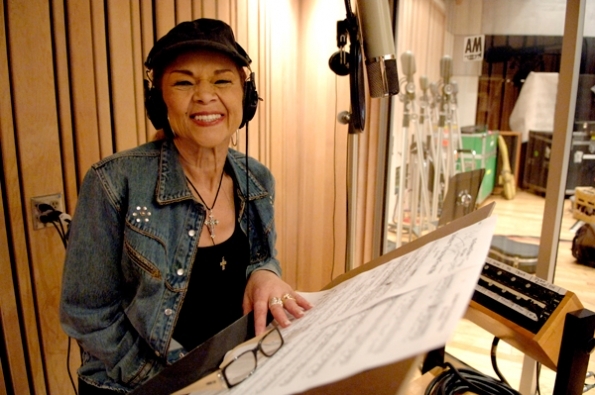 The title song from her recent album The Dreamer, captures the heartache of Etta’s life – “like a fool I thought that it could be, Dream on, dream on, So that someone will understand me”. For much of her life it seems that there was no one to really understand Etta James – there were too many people who were just there to exploit or abuse. Etta sang the Otis Reading song, Try a Little Tenderness, on Matriarch of the Blues – “But when she gets weary, you try a little tenderness”. Too bad there were too few along the way to do that for Etta. 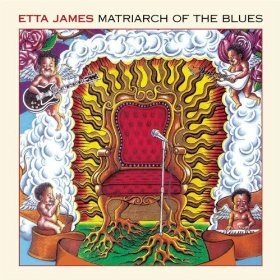 Interestingly, Matriarch of the Blues also has Etta singing Dylan’s Gotta Serve Somebody – “it may be the devil, or it may be the Lord, but you gotta serve somebody”. Perhaps not so unusual, considering that Etta recorded many gospel songs throughout her career, including the spiritual I’ll Fly Away – poignant to consider in the light of her recent passing – “just a few more weary days and then, I’ll fly away; To a land where joy shall never end, I’ll fly away”. 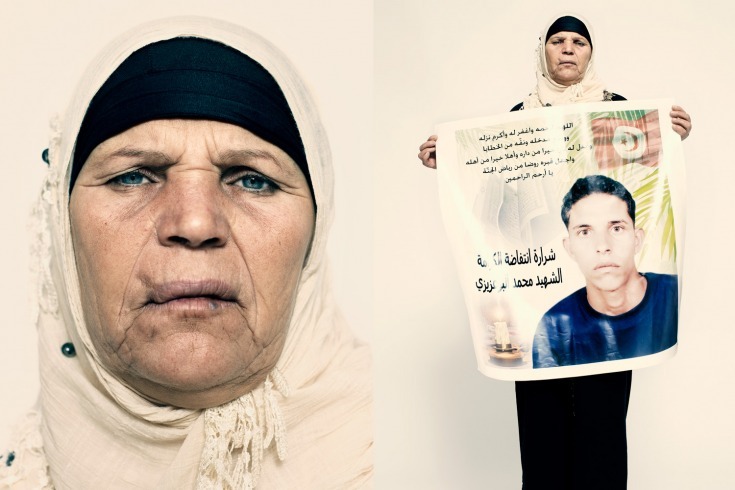 It started in Tunisia, in December 2010, where a street vendor finally cracked at police harassment of him, symptomatic of more wide-scale regime abuse, walked straight to the provincial capital building, then drenched himself in paint thinner and lit a match. 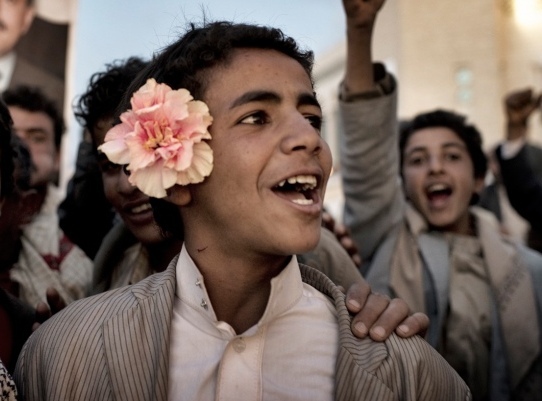 The revolt that subsequently took place in Tunisia then spread to Egypt, Yemen, Bahrain, Libya and Syria, being resisted all the way by their corrupt dictatorships with brutality and murder. 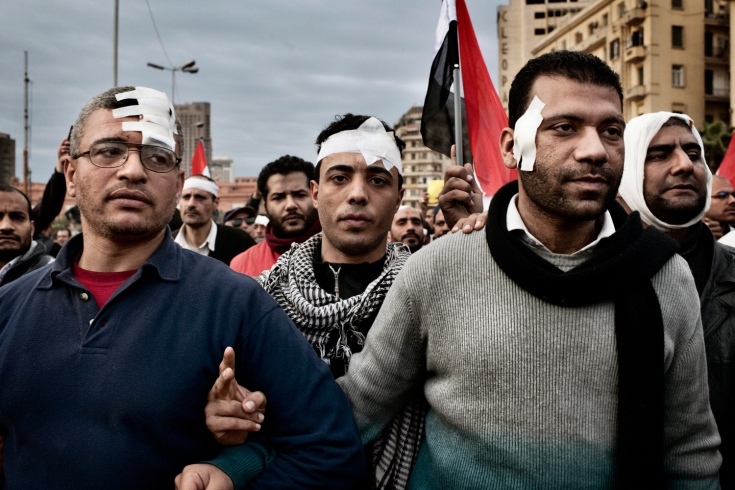 The courage of the protestors of the Arab Spring seemed to galvanize citizens across the globe, who, while not having to deal with cynical dictatorships, were sick of corruption and crime in governments and financial systems. So we saw ordinary people – disproportionately young, middle class and educated – on the streets of Moscow, Athens, Madrid, London, New York and other major US cities, protesting about the dysfunctional political and financial systems that have wreaked havoc with the world’s major economies. Time called the object of their ire, “the failure of hell-bent, megascaled, crony hypercapitalism”. Nicely put. The blues at their very roots are protest songs. From the beginning they have railed against the injustice experienced by the black community in the US. B B King said “The blues is an expression of anger against shame and humiliation” – because at heart the essence of the blues is rooted in human suffering, in grief, in distress. And of course, that’s not all, because the blues is not simply a wallowing in all of that – it’s an expression of anger & hope that protests against the problems facing us and that enables us to get to a place where we can rise above them. 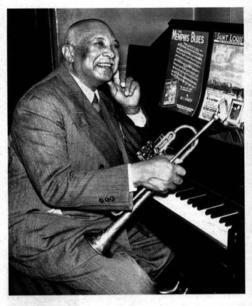 W C Handy, the man credited with discovering the blues said, “The blues were conceived in aching hearts”. Songs like Blind Lemon Jefferson’s “Broke and Hungry”; Leadbelly’s “Pick a Bale of Cotton”; Leroy Carr’s How Long Blues (I ain’t seen no greenback on a dollar bill, How long, how how long, baby how long? ); Victoria Spivey’s T B Blues (I got a tuberculosis; Consuption is killing me. It’s too late, too late Too late, too late, too late) – and many, many more, all speak of the hardships of life for African Americans when the blues were growing up. Suffering that was the result of poverty and discrimination and which led to personal degradation and social disintegration. “Oh Lord, how long shall I cry for help and you will not hear? Why do you make me see wrongs and look upon trouble? Protest about the ways things are and hope for the world to be different is inherent to both the blues and Christian faith. Those of us who are into one or other (or both!) are part of protest movements. Maybe you wouldn’t think it, to look at us sometimes. But both the blues and faith in the God of Jesus Christ are – or should be – a howl of protest against injustice, corruption, brutality and greed, no matter where we find it. Maybe we need to howl a little louder. Let’s join the protest.